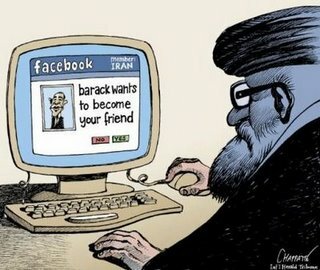 Iran’s Supreme Leader Ayatollah Ali Khamenei doesn’t want Barack Obama to be his new facebook friend. 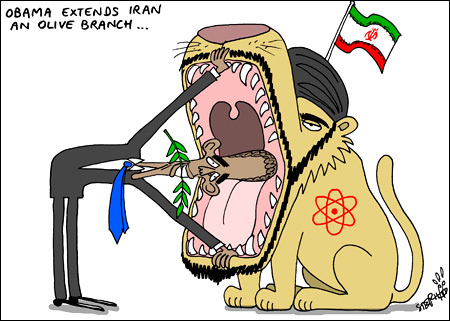 The Ayatollah has rejected Mr. Obama’s offer of “comprehensive diplomatic contacts and dialogue,” by saying the White House is plotting against Iran while extending an olive branch. President Obama, according to the Ayatollah, isn’t “in the position to support democracy and human rights,” Iran’s state-backed Fars News Agency reported Monday. 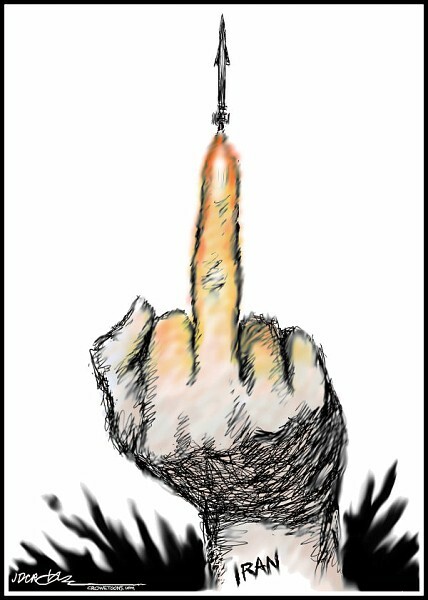 (Can’t argue with him there) “You cannot talk about peace and friendship, and at the same time plot and plan sedition, and think that you can hurt the regime of the Islamic Republic of Iran,” Khamenei said Sunday in a televised address to mark Nowruz, the Persian new year. In a videotaped message sent Saturday, President Obama said that the U.S. would maintain its “commitment to a more hopeful future for the Iranian people” despite Tehran’s refusal to halt uranium enrichment. “Our offer of comprehensive diplomatic contacts and dialogue stands. Indeed, over the course of the last year, it is the Iranian government that has chosen to isolate itself, and to choose a self-defeating focus on the past over a commitment to build a better future,” Mr. Obama said. The Ayatollah responded by saying Iran’s unity and perseverance would protect it from its enemies.